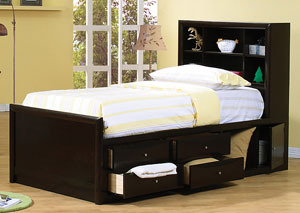 The Phoenix Daybed Features Two Under Bed Storage Drawers To Keep Personal Items Neatly Storage Away. 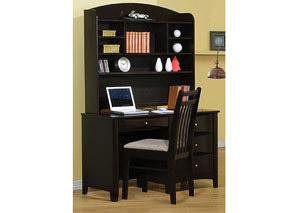 The Back Chest Features A Bookshelf With Open Storage Compartments And Interior Lighting. 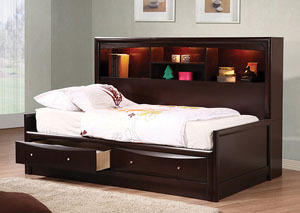 The Chest Section Can Be Used On Either Side Of The Bed. 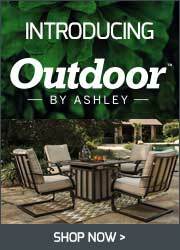 It Is Available In Twin Of Full Sizes Which Includes The Wood Rib Support.